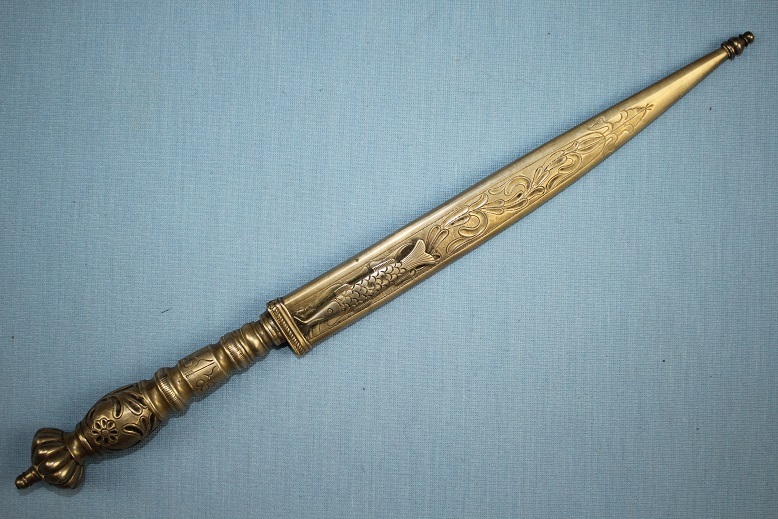 A fine example of a Faca de Ponta. 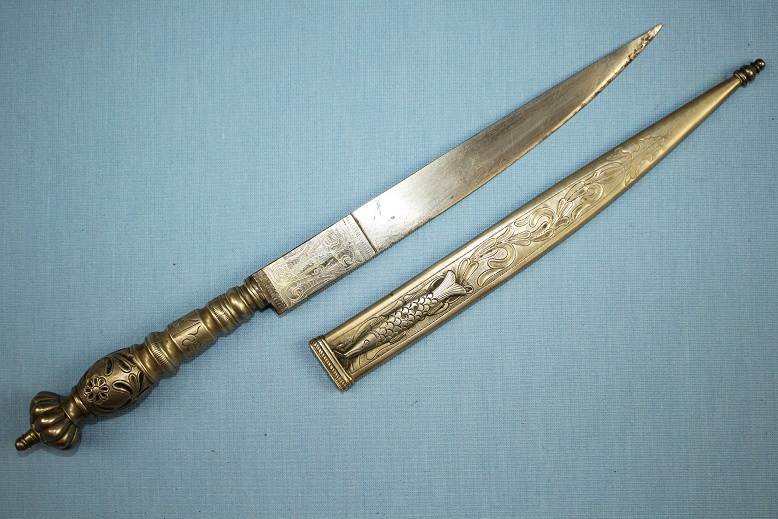 This Brazilian dagger measures 30cms long in its sheath, 28cms out and has a blade length of 17.5cms. 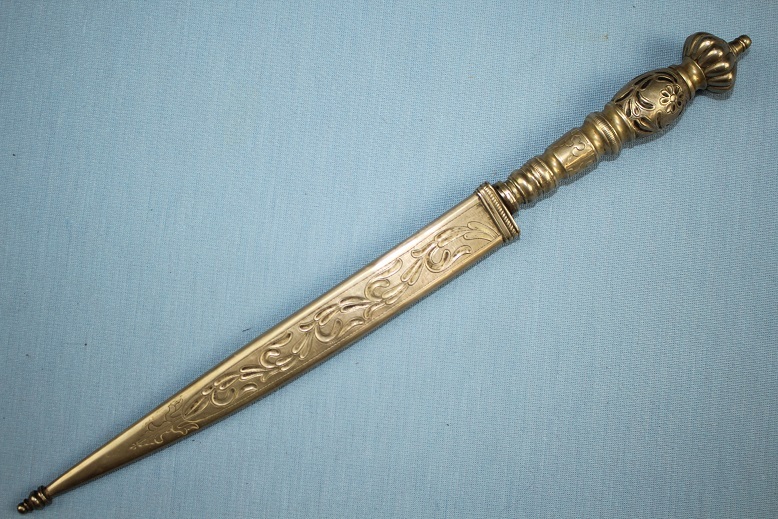 The hilt and sheath ore both constructed from a white metal with the blade having an engraved silver panel inlaid in to the forte. 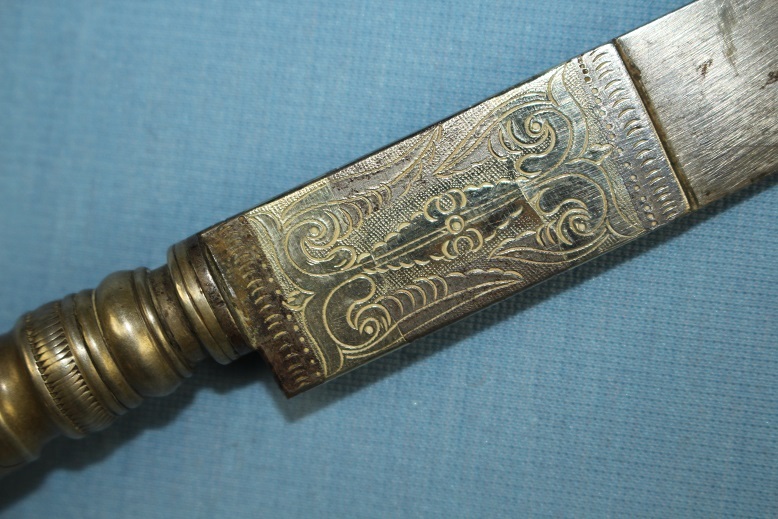 The very comfortable grip is both engraved and pierced with the piercing sharing the same motifs as those found on the sheath. 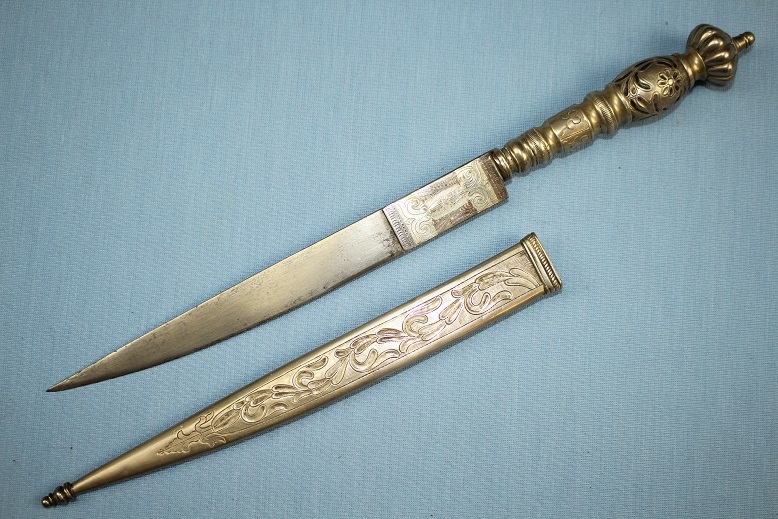 The sharp needle like stabbing blade, as noted retains a finely engraved silver panel within the block forte, from which the blade distally tapers to a very efficient and dangerous tip. 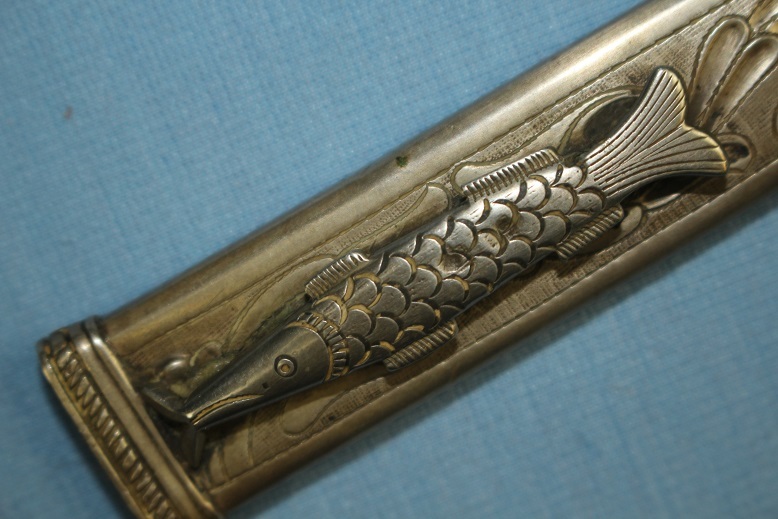 The sheath is an all metal construction, simply engraved and displays a long fish motif as the belt hook. 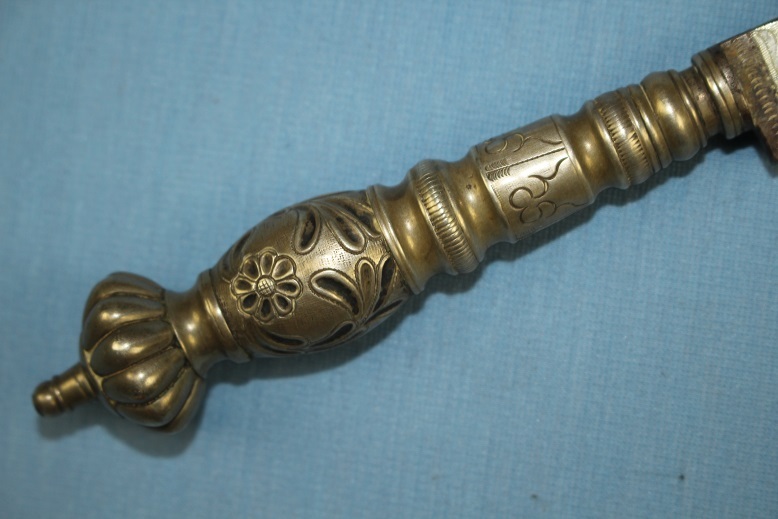 A fine example of the type.